All food and beverage is subject to Service Charge of 20% and applicable State Sales Tax. Please contact us for our complete terms & conditions. 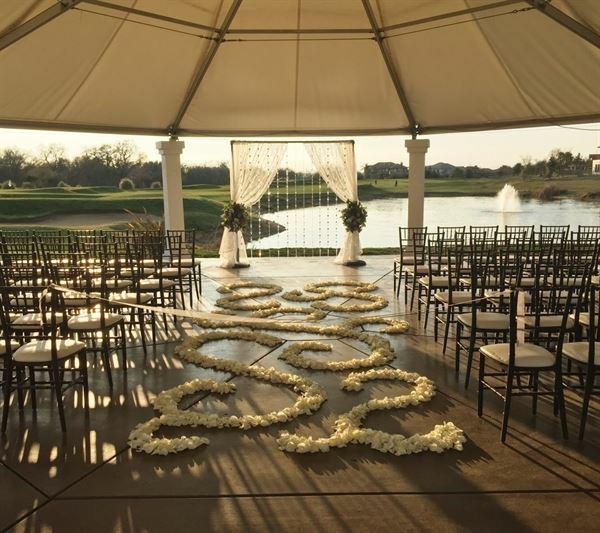 Rental includes 5 hours of ceremony & reception time, 2 hours prior to ceremony for client & vendor access/set up, and 1 hour following the reception for client & vendor clean up/breakdown. *Monday – Thursday: $2,000.00 *Friday & Sunday: $3,000.00 *Saturday: $4,000.00 Additional Decorating/Access Time: $150.00/hour (subject to availability) Additional Event Time: $350.00/hour (subject to availability) **January - March “Off - Season” Discount : $500 off Facility Rental** Food & Beverage Minimums May Apply, Friday & Saturday Events Must End by 12:00am, Sunday-Thursday Events Must End By 10:00pm ***Please note that the above rental pricing is applicable with onsite catering only Facility rates for outside catering packages increase, see catering manager for details Ceremony & Reception Set Up Provided By Morgan Creek Staff Round 72” Tables That Seat Up To 10 Guests Mahogany Chiavari Chairs With Ivory Cushions House Table Linens And Napkins At Each Setting All Glassware, Flatware And China Dance Floor Additional Tables And Linens Needed (Cake, Gift, Etc.) Decorations And Décor Are The Responsibility Of The Client To Provide And Set Up. Specialty Linens Additional Colors/fabrics And Patterns Are Available, Please Speak With You Catering Manager For Further Details On Pricing And Product Availability. Dessert You Are Welcome To Bring A Wedding Cake Of Your Selection From A Bakery Of Your Choice. The Morgan Creek Staff Will Cut And Serve Your Cake Complimentary. Beverages All Menus Include Pre-set Water At Each Place Setting Self- Serve Beverage Station Consisting Of Lemonade, Ice Tea & Coffee All Alcohol Is Purchased And Distributed Through Morgan Creek. Reservations Event Reservations Require A Signed Contract And Deposit. The Deposit Amount Is Equal To The Facility Rental Applied To Your Event. Deposits Are Non-refundable. Rehearsals One Hour Of Rehearsal Time Is Scheduled With The Morgan Creek Event Manager On The Thursday Before The Wedding, Pending Events.